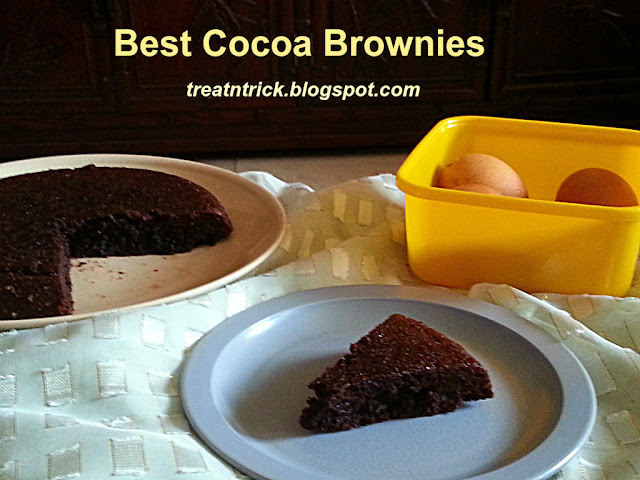 My family loves brownies and have make several batches of Eggless Coffee Brownies and Banana Brownies Eggless before. Both of them are cake like type. Some brownies used dark chocolate but I have no chocolate at the moment. In this case, I opt for cocoa powder instead. The recipe below is super easy to put together and with the option to add nuts or chocolate chip for more intensified chocolate flavor. Also added only 3/4 cup of sugar. Best Cocoa Brownies only need a whisk to mix melted butter together with sugar and cocoa powder. Then mix in the rest of the ingredients and stir until smooth. It is now ready to be baked. Baked in my 8 in round pan instead of 8 x 8 and it took 20 minutes flat to bake but this depends on individual oven. When completely cool, slice into 12 or 16 squares if you're using 8 x 8 in pan. This Best Cocoa Brownies is a soft and chewy on the inside and chocolatey. 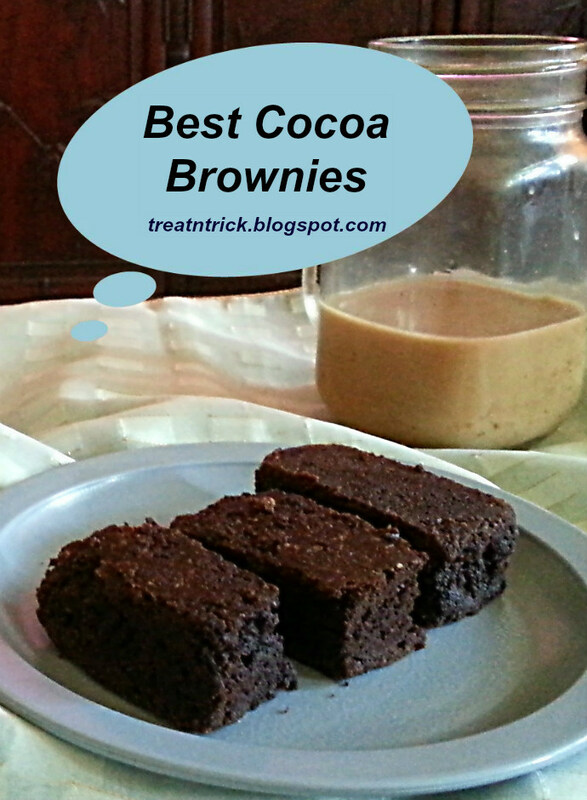 It is also the easiest one bowl brownies you could ever hope for. As requested, I have planned to bake this again tomorrow. We love pasta but I seldom cook it. My son requested to have pasta this week, first thing I check what I have in my pantry and fridge. 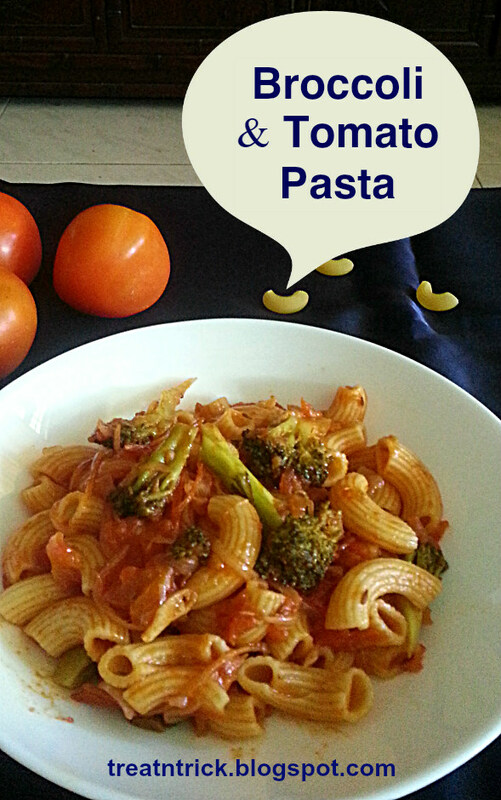 Since we have broccoli, macaroni and fresh tomato, decided to whip up my Broccoli & Tomato Pasta for our meal today. Wonder why I don't make this often since this is the easiest and importantly tasty. When boiling the pasta, cook until aldente as stated on the package. Use the water from boiling pasta to cook broccoli and retain some of the water to be added to the pasta if it is too dry. Prefer spicier pasta, added more chili paste than stated. In case you don't have chili paste, opt for chili powder. I know some of you may not have chili powder so add black pepper instead. 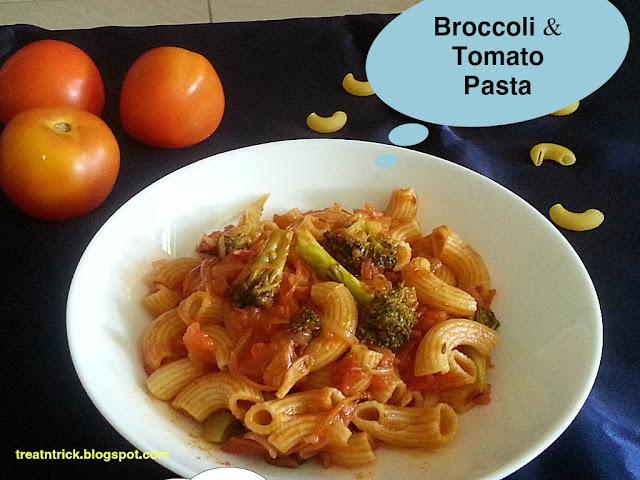 This Broccoli & Tomato Pasta is so versatile, you can add other vegetables, meat or cheese to your liking Even without any add on, it tastes awesome! My family also love the following pasta. 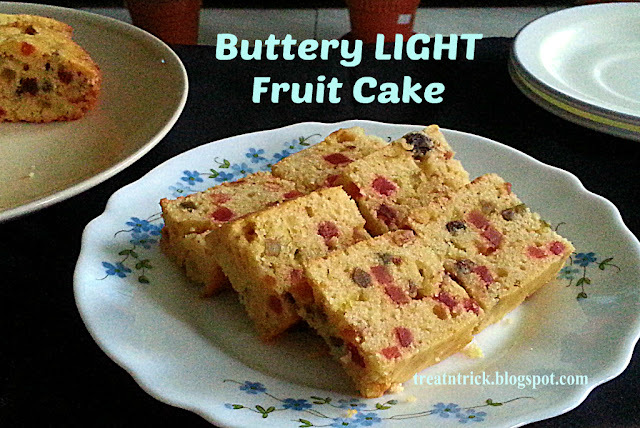 Check the recipe by clicking on the title. 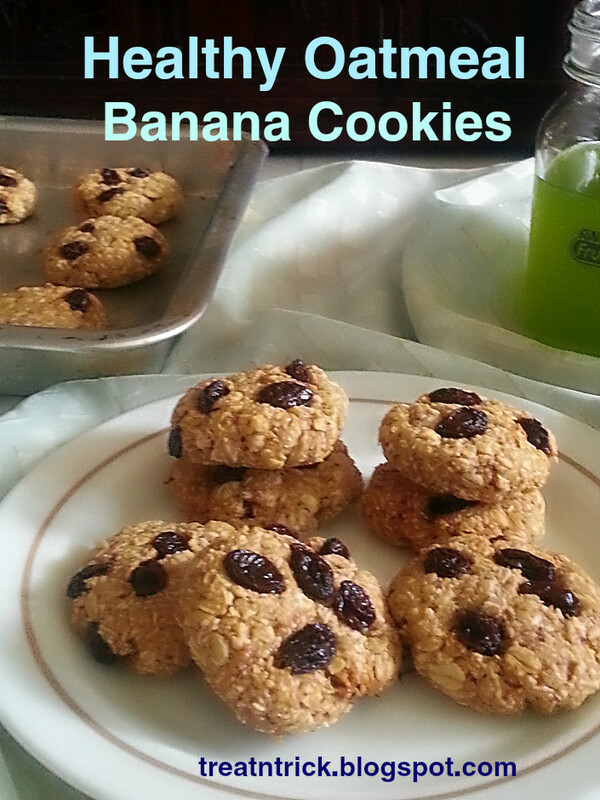 Quiet some time, I have baked cookies for my family. I love easy and delicious recipes and this Healthy Oatmeal Banana Cookies fall into this category. These are egg free and use a minimal amount of melted butter. In fact, it uses one bowl so you save time washing up and the best part, just throw in all ingredients in a mixing bowl then mix until well incorporated. Easily shape the mixture into 1 in ball then flatten slightly. 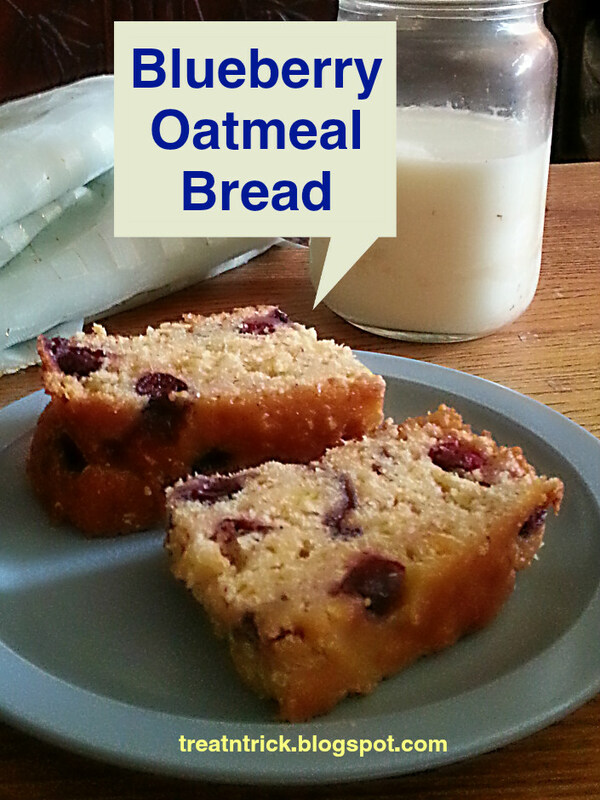 Besides raisin, opt for cranberries, apricot or mix in sesame / sunflower seeds or almond/walnut. The possibilities are endless. If you're not keen to roll the cookies, you can spoon the dough into a greased baking sheet. Press with a metal spoon to smooth top. 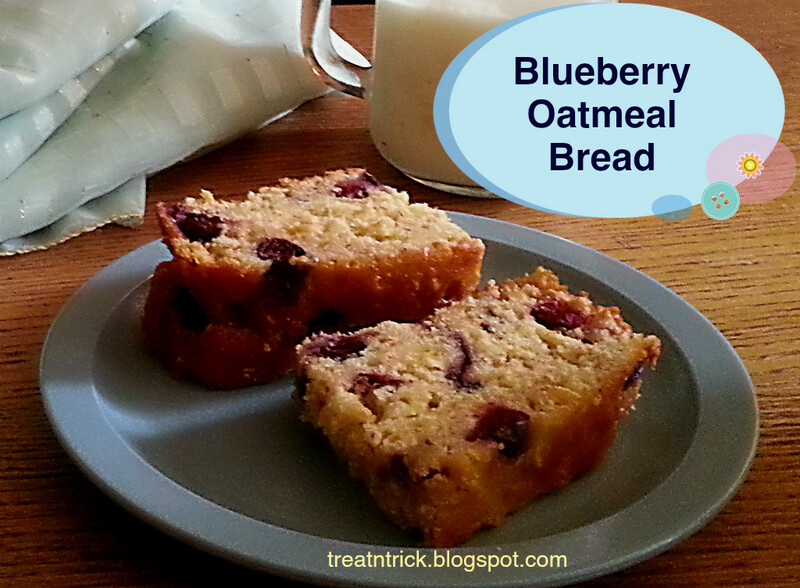 After baking, cut it into bars. 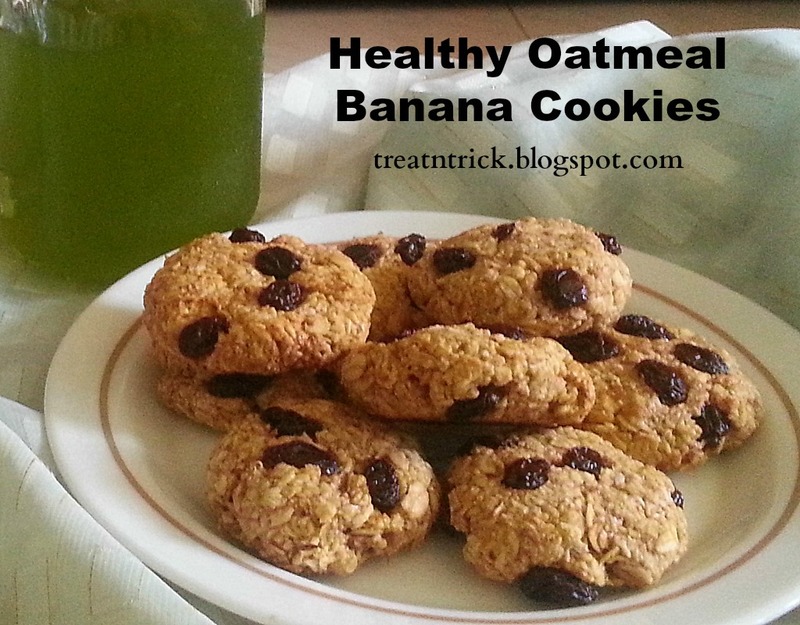 Healthy Oatmeal Banana Cookies turned fantastic, soft center and not so sweet which I love. If you need it sweeter, add more sugar. Bake them longer for crunchier cookies.